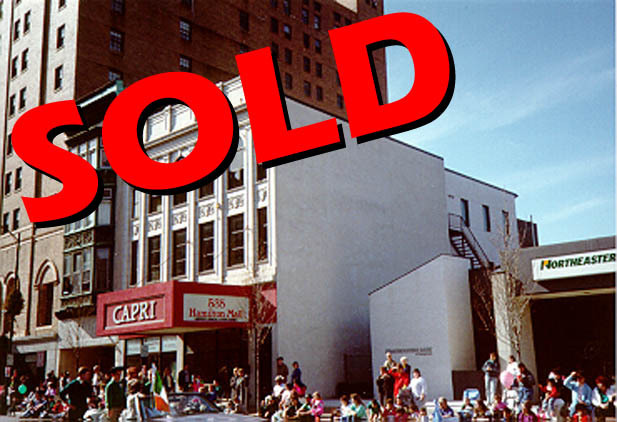 The Capri: 535 Hamilton Street, Allentown, PA – Berger-Epstein Associates, Inc. The Capri: 535 Hamilton Street is where the highest standard of office design has been incorporated to provide first-class offices in the heart of Allentown’s business, legal and government center. Located one block from Lehigh County’s Courthouse, city, county government offices, and new Federal Courthouse, The Capri: 535 Hamilton Street is an ideal location for law firms, professional offices and Businesses desiring to be in the mainstream of Allentown’s business activity. Hotels, conference centers, restaurants, theaters and Allentown’s Art Museum are just a short walk away. The uniqueness of The Capri: 535 Hamilton Street is based upon a complementary relationship of a restored historic exterior and a completely new and modern interior. The Capri: 535 Hamilton Street includes such amenities as a very attractive lobby, elevator service, restrooms on every floor and a state-of the-art security system, as well as barrier free design for handicapped accessibility. The Capri: 535 Hamilton Street has its own electrical service and every tenant’s comfort is assured by individual, energy efficient, heat pump heating and air conditioning units. Tenant comfort and operating efficiency, together with low maintenance costs were primary factors in the design and planning of The Capri: 535 Hamilton Street. Close and convenient parking spaces are available for tenants of The Capri: 535 Hamilton Street, and regular public bus service to all sections of the Lehigh Valley is at your door. Substance Abuse Screening Services, Inc.